Why do people pay for debt advice? Debt management companies may have cash to throw at glossy adverts during The Jeremy Kyle Show, but why on earth do people use them for a service that’s available free, more suitable and much better elsewhere? Over the weekend I popped into the Co-op to buy a meat and potato pie. They said I could have a lovely fresh organic one for free, but I said no. Instead I went next door and asked if I could pay over the odds for a less tasty one. In fact, even though I needed a meat and potato pie, I didn’t really mind when they sold me a raspberry yoghurt instead. After all, I can always pop back later and pay extra for the unappetising pie when I discover I shouldn’t have bought the yoghurt in the first place. Sounds like the Monty Python version of a Victoria Wood sketch, doesn’t it? Why would anyone pay for something that is available free, more suitable and frankly much better elsewhere? And yet this is the question I find myself asking over and over again when people ask where they should go for debt advice. My answer is always the same – you can get free and independent help from the Consumer Credit Counselling Service, National Debtline and Citizens Advice. Why go to commercial debt companies? So I’m left wondering – why do people still respond to commercial debt management companies’ (DMC) adverts on daytime TV? Is it the friendly, non-judgmental tone of the adverts or the promise of a quick-fix? Or do people just not realise the charges involved? Research by both the Office of Fair Trading and Which? 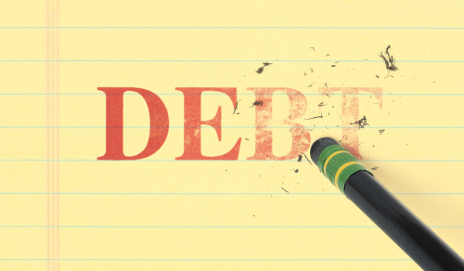 has unveiled a long list of reasons to avoid debt management companies. These include: poor advice; high fees and charges; a lack of effective regulation; commission-led sales; and in some cases, the risk that your repayments will never reach your creditors. And there’s no guarantee you’ll be sold the most appropriate debt solution for your circumstances anyway. About eight in 10 people entering an Individual Voluntary Arrangement (IVA) have already been through at least one other debt solution. And after a debt company has already received your money for a debt management plan, which in many cases proves to be unsuitable, turning you into an IVA can maximise its profits even further. This type of tactic by commercial debt companies is just like selling a pie-hungry customer a raspberry yoghurt, as they know you’ll be back to pay extra for the meat and potato pie you could have got for free. Or maybe I’m missing something? Firstly, to declare my interest, I am the media officer for the Money Advice Trust, a debt advice charity which, amongst plenty of other things, runs National Debtline. Evidence shows that many people who go to a commercial debt management organisation have not made choice between free and fee-charging organisations, but have instead responded directly to advertising and/or are unaware of the free alternatives. You only have to Google ‘free debt help’ and read the ads generated at the top of the page to understand how a vulnerable person struggling with debts could be misled. Greater awareness of the excellent advice availiable from the likes of National Debtline, CCCS and Citizens Advice would go a long way to ensuring debtors can make an informed choice about how to deal with their debts, but achieving that awareness without the budget for large scale advertising is not easy. There will always be some people who prefer to pay for debt management services. However, consumers should be given the opportunity to make the decision between free and fee charging alternatives from an informed position. Perhaps if fee charging companies were obliged to point out to new customers the existence of free alternatives, we might get a more accurate view of how many people would prefer to pay for a service when a free alternative is readily available. As the Media Relations Manager at debt charity Consumer Credit Counselling Service (CCCS), I agree that it is often about awareness. Facing unmanageable debt is incredibly stressful and people tend to stick to the first port in a storm be it a charity such as CCCS, National Debtline or Citizens Advice, who provide free debt advice, or a fee charging debt company. That is why it is so important that people are aware of the choices available to them before they choose who to seek help from with their debt problems. Too many aren’t. I once managed several Supporting People funded services to prevent homelessness. Many clients were paying debt management companies to manage their debt problems. By referring these clients to Citizens Advice, we were able to reduce their monthly expenditure by a considerable amount, and also teach them how to access free services should they need to in the future. The problem is that debt management services use the same tactics and advertising methords as the loan companies that get people into debt in the first place. If you’re vulnerable to one you will be vulnerable to the other. I wrote a blog about this following an interview i did on R4 in May last year. My views have changed little since: Ibelieve that much of the fee-charging debt resolution sector does an excellent job for its clients. Whilst many in my industry need to pick themselves up and ensure we are offering the quality service clients have a right to expect I think that recent and coming action by the OFT and organisations like DRF (www.debtresolutionforum.org.uk) will ensure there is some sort of quality mark that ensures consumers don’t get taken in by cowboys. Come to a compliant fee-charging debt resolution company and you get free advice – up to the point where you start paying into either a debt management plan or an individual voluntary arrangement (IVA). Then we charge, but in the case of IVAs, finish the plan and it’s the creditors that, effectively, pay the fees. Go to Citizens’ Advice and, most of the time, you get a DIY debt management plan and no help with making distributions to creditors. Worse, most creditors won’t freeze interest and charges on a CAB DIY DMP. Why do so many creditors freeze interest and charges on DMPs put forward by fee-charging companies? Surely they wouldn’t if they thought we were doing a bad job? Why is it that (I got this from Payplan) the proportion of debt plans written by fee-chargers has gone up from about half to around three-quarters? We mystery shop all the time, and we see that it can often take days to get a telephone appointment to speak to an advisor from a creditor-funded DMP provider – We’d be appalled if we could not pick up the call and give advice there and then. One of the most senior individuals in the charitable sector has said they can only deal with half the enquiries they receive. No wonder our share is increasing. DRF members’ advisors have CertDR after their name (or are studying for it). This takes 120 hours study and three exams with a 70% pass mark. Roughly one in five/six of the schemes our sector puts forward are IVAs (Individual Voluntary Arrangements), not debt management plans. IVAs are, often the best and most certain solution for someone who owes money they cant repay. Why then does one of the largest not-for-profit providers say that it only passes 2% as IVAs – if they are speaking to the same people we are, they should be advising IVAs up to ten times as often as it appears they are. Every time someone in debt goes to Citizen’s Advice it costs taxpayers hundreds of pounds (there is a recent National Audit Office Report on this). Perhaps it is also moral and ethical that the people who got into debt – and their creditors – should pay to get out of debt, rather than (especially right now) it be another charge on the public purse? Certainly, in the current “Call for Evidence” from BIS and Treasury it is pointed out that Government thinks those that benefit from debt resolution (the debtors AND the creditors) should pay for it. I am proud of what we do. And again we have seen the problem of charities especially the CAB passing people to certain companies like Debt Free Direct, Grant Thornton and Payplan to name but a few depending on what area you live in. There is currently a media investigation into this and I think it will certainly raise some eyebrows. Just ot of interest, what happens when the IVA fails or does not run its course (Ive heard tens of thousands of IVAs don’t) – do the creditors pay the fees back to the debtor or does the IVA company keep them? The way I see it is that the debtor pays the fees out of their pocket if the IVA fails or runs its course. Are you absolutely sure that you are not misleading people? “Whilst many in my industry need to pick themselves up and ensure we are offering the quality service clients have a right to expect I think that recent and coming action by the OFT and organisations like DRF (www.debtresolutionforum.org.uk) will ensure there is some sort of quality mark that ensures consumers don’t get taken in by cowboys. After reading what you have put, I cant help thinking the above is at least some sort of contradiction at best. Look forward to your professional comments. PS – I have read the OFT articles very carefully and can link them on here if it helps. Which? are wrong about this. There are some very good companies out there that offer expert and professional debt advice that is totally impartial to the rest of the debt advice industry. Free debt advice is not always good as we have seen some very poor examples from people who went to certain charities. The problem with free debt advice and solutions is that it’s not actually free. Most of the time the charitites will send the person in debt and refer them to an IVA or DMP company which then charge fees anyhow. so how is this free. My company actually got recommended by the OFT, so how is that bad? The point here is that people need the correct advice and not just shoved off to an IVA or DMP Company who just want your money and have deals in place with the certain charities in question. For reference my company is Integrity Debt Solutions, i’m not afraid to talk about this subject because i feel it is important people here the other side of the story. I have also seen many examples of people who have been to fee charging companies (including bankruptcy assist companies who charge hundreds (sometimes thousands) of pounds to fill in bankruptcy forms without giving proper advice) who then pass them onto the charities if they can’t make any money out of them. Interests of the person at heart – dont make me laugh. Advice and execution are valuable services. Why should they be free, if they will save a client significant sums of money and still enable the client to either service their debt or consider other options, such as IVA? Any organsiation that receives its incentivisation from the creditor community, instead of the debtor cannot be considered impartial, but will be acting in the best interests of either its shareholders or its clients. Is the advice really the best that can be offered to the debtor, or are they simply trying to provide the best possible return to creditors? Hidden backing in financial services is a nightmare – debtors don’t know who they are dealing with. Total transparency should be the case, so that the full equity capital structure of all debt advisory firms, and charities, can be see. Debtors then can make their choice about who they are dealing with and whether they are actually getting best advice. This is what happened when the bottom fell out of the institutional credit market. It is not impossible that it could have similar effects in the retail market. Would CCCS and other actors on this stage agree that the problem with debt is as much with the creditor sector for manipulating and then suffocating their clients, as it is with consumers for being unable to manage their money? Given some of the comments on the CAB – heres a defence of sort…………. There have been many healthy and heated debates between the free and fee charging debt advice sectors for years now and nothing seems to change here. If someone wishes to pay for a service and they can afford it, then at the end of the day it is rightly their choice. It is also their right to be given full and appropriate advice and not just what makes the provider the most money. With regard to whether the above is always the case then you do not have to look any further than the OFT reports and articles in the papers and on TV for that matter. Anybody with any serious knowledge of debt advice ‘hand on heart’ will know this is nothing new. In my opinion there is a place for both the free and fee charging sectors and to be honest I know people who are highly satisfied with the service they have received from both, but this OFT report is pretty damning in parts, that cannot be denied or hidden by a smokescreen. The CAB’s mostly operate an open door service along with telephone enquiry / triage lines and don’t have the luxury of being able to cherry pick their clients. They see many who people who have first been to a fee charger and end up having to sort out the mess or if they cannot afford or do not want to pay for the service. Many people end up at the CAB with failing or failed IVA’s which creates further work. All this of course makes a mockery of claims by some about CAB waiting times etc. I understand that unlike the vast majority of the fee chargers the CAB’s advise on and assist with Debt Relief Orders and The Mortgage Rescue Scheme both of which are legitimate options and remedies that should really always be considered along with other solutions. The CABs take on the most vulnerable and time consuming multi enquiry cases (inc referral from other agencies) having to deal with bailffs, court hearings, priority debts, threatened & actual homelessness etc often where there is no disposable income (usually not the sort of cases you will find the fee chargers getting too involved with). The CAB’S will look at income maximisation, benefit & tax credit claims & appeals as this is important and overlaps with genuine debt advice. These type of cases can save the Local Authorities thousands and can benefit the local and national economy by millions overall. The CAB’s make untold numbers of successful applications to local and national charities (often for the most vulnerable) that can be of overall benefit to clients in the the hundreds of thousands and perhaps millions. The CAB is involved in an award winning partnership with the Royal Britsh Legion that provides benefit, debt advice and support to servicemen and their families right across the country. The CAB is involved with the Macmillan Cancer Project that again provides benefit, debt advice and vital support for cancer sufferers and their families. Are there people who seriously want to see an end to all this and maybe have it replaced say…by profit making companies? The CAB’s are not perfect – but who is? I have to say there does seem to be people who criticise the CAB’s who perhaps have little or no true knowledge of how they actually operate and the service they provide and maybe are not too experienced in genuine debt advice either. One can only wonder why this is? Although i understand both sides of this argument, it is and always will be down to personal opinion. There are too many assumptions made about fee and non-fee charging debt management companies. The free services do the upmost they can to help anyone who is in financial strain but i do feel that due to a large number of fee charging debt management companies not meeting the minimum guidelines that were set by the OFT has hit consumer confidence in this sector. What needs to be concidered is that there are actually 18 fee charging companies out there who are members of DEMSA and have their code of conduct approved by the OFT. So what needs to be taken into account when discussing fee charging debt managment companies is to be fair in what your saying and, as always, do your research. I have been surfing online more than three hours these days, yet I never discovered any interesting article like yours. It’s lovely value enough for me. Personally, if all website owners and bloggers made excellent content material as you probably did, the web can be much more useful than ever before. 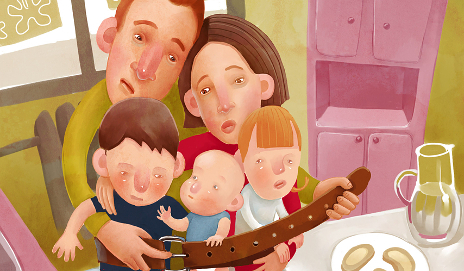 Are you tightening your belt post-Christmas?